Please visit our events calendar and school holidays page to see what’s going on at these places! 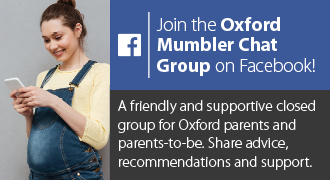 If you know of a great place to go that isn’t already on Oxford Mumbler, please contact us here or at oxford@mumbler.co.uk to get a free basic listing or to find out about our featured listings. Provides a safe environment for youngsters to enjoy water fun on a hot day. Parents can relax at the side and watch the screaming and the giggling as the kids run around the spray fountains. With the play area alongside it makes a day of fun that will keep the kids busy. FREE! Newly refurbished heated outdoor pool suitable for all ages. Barton Leisure Centre is a treasured local leisure facility with great facilities, including a large gym plus a four lane swimming pool and offers a wide range of group exercise classes. For families – family membership, family fun swim sessions, junior gym and junior table tennis. Our Swim School teaches all levels and ages from newborns upwards and is certified by Swim England. Open Monday to Fridays 6.15am-10.00pm, and Saturdays and Sundays 8.00am-8.30pm. A wonderful day out on a gently shelving sandy beach and swimming lagoon. There’s also an adventure playground, volleyball court, BBQ stations, picnic areas and restaurants. Enjoy Water Walkers, pedaloes, rowing boats and electric boats, or head to North Lake for pay and play watersports. Three children’s play areas, splash feature (open summer only), miniature golf, football and cricket pitches, aviary, outdoor tennis courts, skate park, miniature railway and cafe. The park is open all day, every day. The railway is open on the first, third, and occasional fifth Sunday of each month from April to October, and also on Bank Holidays, and on Wednesdays during the summer school holidays. We’ve got some fantastic facilities on offer including swimming, an excellent gym & fitness equipment, indoor courts, squash, basketball, café and a extensive programme of exercise classes. For families – family membership, family fun swim sessions and junior gym. Our Swim School teaches all levels and ages from newborns upwards and is certified by Swim England. Open Monday to Fridays 6.00am-10.00pm, Saturdays 7.00am-8.00pm, and Sundays 8.30am-8.30pm. Bank holidays 7.00am-8.00pm. Welcome to Hinksey Heated Outdoor Pool. We’ve got some fantastic facilities including excellent lido/outdoor pool for swimming and group exercise activites & cafe on site. Open April to September from 7.00am weekdays and 8.00am weekends. Closing times varies 6.00-8.00pm. We’ve got some fantastic facilities on offer including swimming pools, all the latest gym & fitness equipment, an extensive programme of group exercise classes and a café. For families – family membership, family fun swim sessions, creche, junior football coaching (for age 6+) and soft play. Our Swim School teaches all levels and ages from newborns upwards and is certified by Swim England. Open Monday to Fridays 6.00am-10.00pm, Saturdays 6.00am-8.00pm, and Sundays 8.00am-9.00pm. Woodstock Open Air Pool is a heated outdoor lido in the heart of West Oxfordshire. It is open during the summer months (April to September). Whatever the weather, we are open to the public for morning, afternoon and evening swimming. Our pool is surrounded by a large grassed area, ideal for relaxing and picnics on a sunny day.